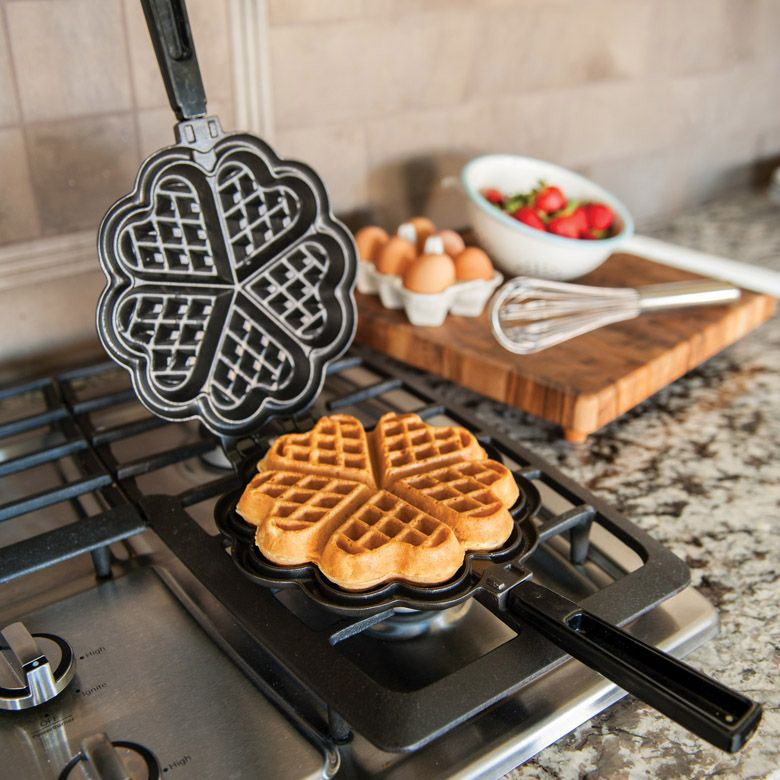 Stovetop iron that makes heart shaped belgian waffles-- with extra deep pockets to capture butter, syrup, fruit, whipped cream and more! Cast Aluminum, Five 3.5" heart cavities. Waffler comes with a Susan Branch 3x5 recipe card for her Heart Shaped waffles recipe.